Gemas is small railway station in Negeri Sembilan state, to the south of Kuala Lumpur. 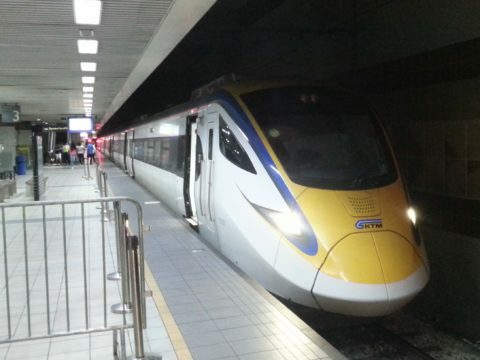 Long distance northbound trains heading towards Padang Besar on the border with Thailand depart from Gemas, and this is the station to go to next from Johor Bharu if you are planning to complete the popular Singapore to Bangkok train route. There are no direct trains from Johor Bharu to Penang any longer so you need to change trains in Gemas. There are 2 direct train services a day from Gemas to Penang which you can book online. Trains to Penang depart from Gemas Railway Station. 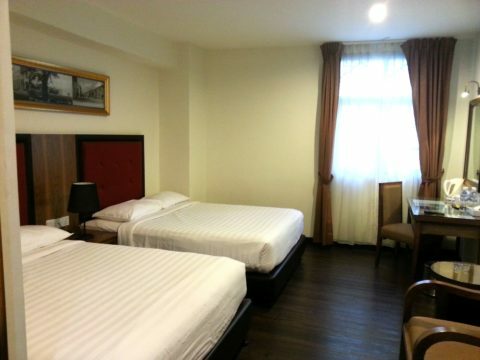 For Penang alight from the train at Butterworth Railway Station and then either take the ferry or a taxi to Penang Island. The cheapest way to travel from Butterworth Railway Station to Penang Island is to take the Rapid Ferry commuter service which departs from from a port near to the train station and arrives 15 to 20 minutes later in George Town, which is the main town on Penang Island. 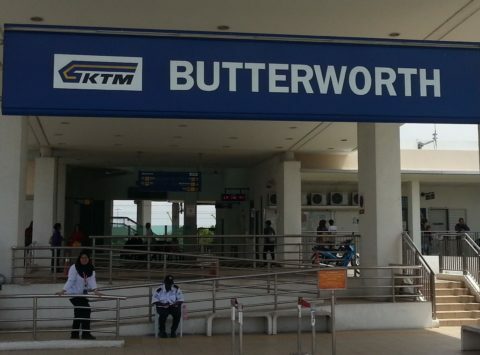 The adult one-way fare on the ferry from Butterworth to George Town is 1.2 MYR, and 0.6 MYR for children. British Heritage: During their time as colonisers of much of the Malay peninsula the British Government, through the East India Company, constructed lots of large and ornate buildings in Penang, including the fort and town hall on the sea front and the large St George’s Church which is a short distance away. Chinese Heritage: Large numbers of immigrants from China came to Penang during the last half of the 19th Century, and although they were for the greater part excluded from participating in the island’s governance they became leading participants in the island’s economic development. These early Chinese immigrants also brought with them their food and their culture, most notorious of which were their ‘clan associations’ which carved out a slice of the island’s economy through intimidation and organised violence. 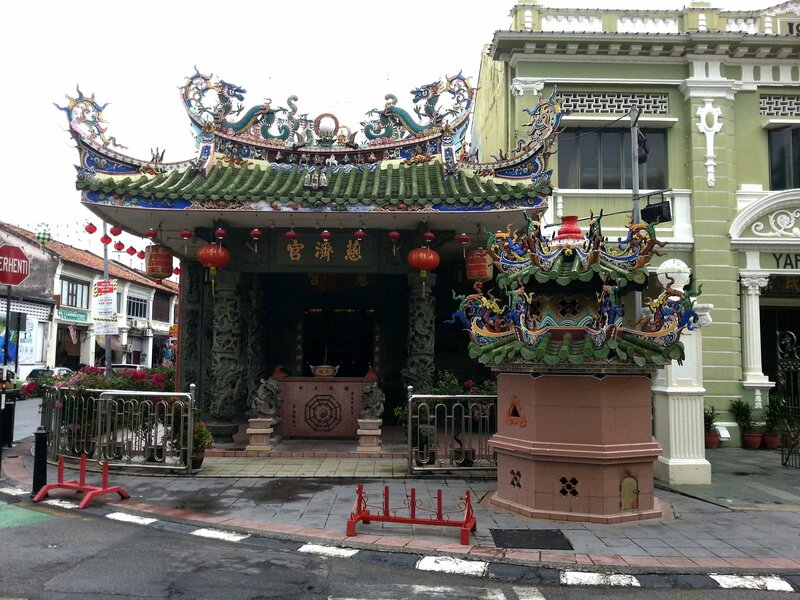 For insight into this period of Penang’s history visit Penang’s Hainan Temple and the Cheah Kongsi Clan House. Indian History: Before Chinese immigrants began arriving in Penang in large numbers, George Town was home to large numbers of people from India, many of whom were encouraged to come to Penang by the British Government to work in the ports and to assist in the British programme of public works on the island. George Town still has a large Indian community which now lives peacefully alongside the Chinese and ethnic Malay communities mainly in an area known as Little India to the north-east of Chulia Street. This area has Hindu and Muslim temples, Indian shops and plenty of great restaurant and stalls selling Indian food which are well worth visiting.